There’s not much more that I can add to this that my colleagues haven’t already said; I’m fixated on how everything plays out, and what horrors await us. But in this day we’re taking to mourn before we organize, it’s important to pay a little attention to taking care of ourselves. 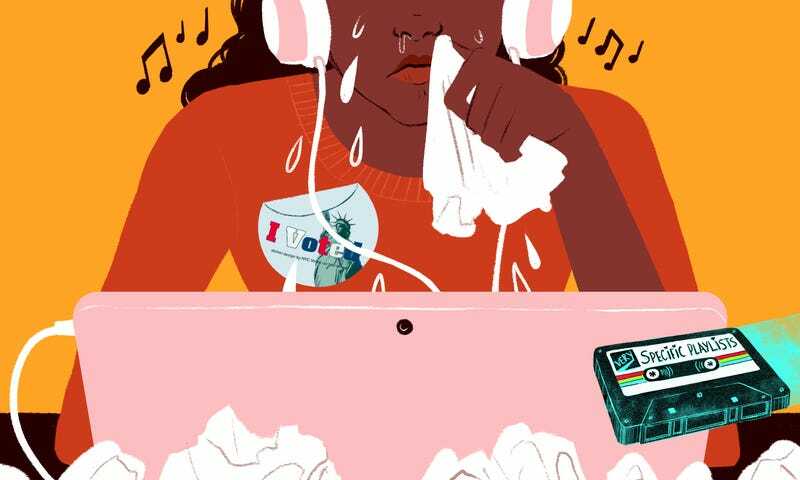 If you’re bawling at work, this playlist was made with love by the Jezebel staff for you.